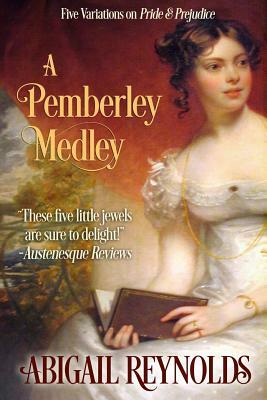 Five Pathways to PemberleyIt's the best of all worlds. Five short Pride & Prejudice variations by bestselling writer Abigail Reynolds gathered in one volume. Can Mr. Darcy win Elizabeth Bennet's heart... or will they misunderstand each other forever? Can he stand by and watch Elizabeth lose everything she holds precious... including him?Praise for Abigail Reynolds' Pemberley Variations: "Readers who can't get enough of Darcy and Elizabeth will find that Reynolds does an admirable job of capturing the feeling of the period in this entertaining diversion" - BOOKLIST"For those who have been chomping at the bit for another Reynolds' novel, Mr. Darcy's Obsession does not disappoint " - AUSTENPROSE"It was a delight to once again experience Ms. Reynolds' enthralling prose, faithful yet emotive characterization, and tension-filled plots." - AUSTENESQUE REVIEWS.